To jumpstart your planning, order or download free travel guides and read inspirational stories about Red Lodge - Base Camp to the Beartooths. Nestled against Montana’s highest mountain peaks, Red Lodge is a place of extraordinary beauty and, wherever you turn, real smiles, genuine warmth and a welcoming, Western-style hospitality. Whether you’re looking for world-class outdoor recreation, a romantic getaway for two, or family-style fun, you’ll find it here. There's plenty of accommodations, eateries and entertainment here and a lot of friendly locals who will help point you in the right direction. Send for your FREE 2018 travel planner today... no matter what the season, make Red Lodge your destination! 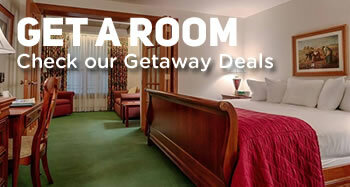 *Your e-mail or address will only be used to send you news or information from Red Lodge. We will not use your address for any other purpose. Need more? 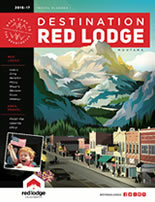 If you would like to have multiple copies of Destination Red Lodge, please contact us - we'd be happy to ship them to you!